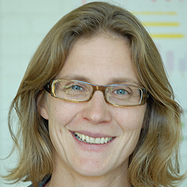 Karin Brolin leads the research on human body models with the aim to improve their biofidelity and usability. Human body models have become important tools for research and development of vehicle safety systems. Therefore, most research projects are done in close collaboration with the vehicle industry. However, human body models can be used for predicting, understanding, and preventing accidental injury in any field, for example in sports. Karin Brolin earned her PhD at the Royal Institute of Technology in 2002. She joined Chalmers in 2009, and became Docent in 2012. There might be more projects where Karin Brolin participates, but you have to be logged in as a Chalmers employee to see them.